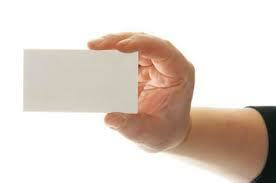 When a Singaporean businessman gives his business card to another person, he hands it with both hands to show respect. That reflects the respect given by entrepreneurs in Singapore to their business associates. As a business owner, you encounter clients and customers of diverse ethnicities such as Malay, Chinese, Indian, and even Arab and you must learn to respect the sentiments of such ethnically diverse population. This is of course hard for some westerners, but one finds that the most successful of the entrepreneurs are those who learnt the trick in short time. People in Singapore do not believe in flattery and any attempts to flatter are seen with suspicion. People here also do not like people who boast about their achievements. Even if you are a confident person, do not look into the eyes of another person for a long time as it is considered a sign of being too aggressive. Smoking in Singapore is banned and certainly looked down upon as a bad habit. Drinking is also not taken as a social habit. It is OK to give a gift to a client on being introduced. Last but not the least; punctuality is a virtue that is expected from a businessman in Singapore.